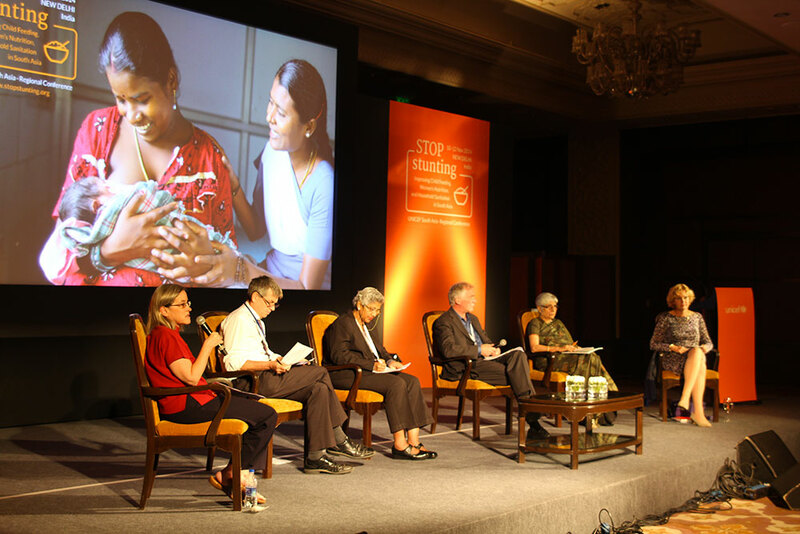 The Regional Conference on Stop Stunting (10-12 November 2014) provided a knowledge-for-action platform where state-of-the-art evidence, better practices and innovations were shared to accelerate sectoral and cross-sectoral policies, programmes and research in Nutrition and Sanitation to reduce the prevalence of child stunting in South Asia. 3. National and regional partners agree on how to best support advocacy, policies, and programmes to accelerate progress in reducing stunting on using the best global, regional and national evidence, practices and innovations on Nutrition and Sanitation.